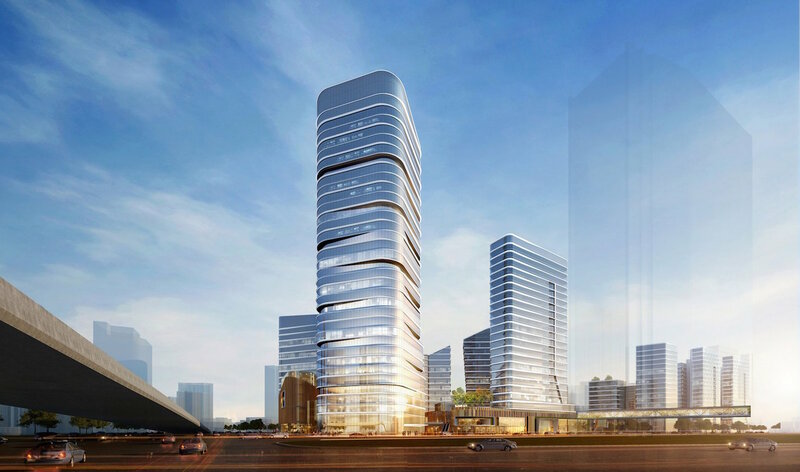 Chicago-based architecture firm Goettsch Partners and Hong Kong-based studio Lead 8 have won a design competition for TODTOWN, a new 264,000-square-meter mixed-use development in Shanghai. Developed by Financial Street Holding Co. Ltd., the large-scale project will span two parcels just north of the Shanghai Railway Station in Minhang District. The most notable aspect of the design is its incorporation of greenery—from green roofs to lush landscaped mini parks, the project will add much-needed pedestrian-friendly green space to the city. Envisioned as a new cultural, shopping, living, and commerce hub, the TODTOWN mixed-use development will be located above major subway and train transit points. A 130,000-square-meter retail mall forms the heart of the project and is complemented by a series of shared green spaces, including a central park terrace. TODTOWN also includes 146,000 square meters of office space; 54,000 square meters of retail; 67,000 square meters of loft apartment space; a 5,000-square-meter cultural center; and a 15,000-square-meter retail podium. Pedestrian-friendly infrastructure is a major focus of the design. Dedicated pedestrian routes will provide multiple connections to the public transit system, adjacent parcels, and neighboring developments. 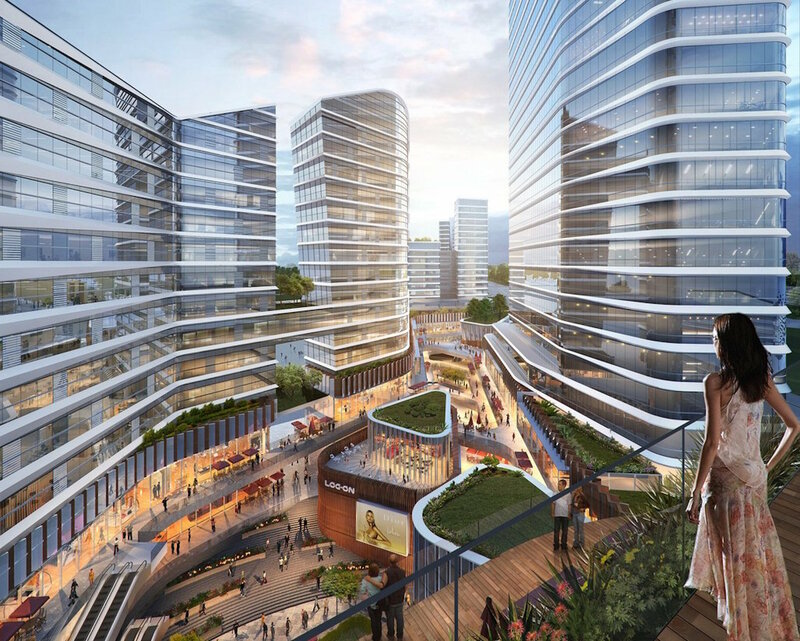 “Financial Street Shanghai creates a sustainable urban environment that will concentrate walkable, compact densities around a vibrant mixed-use site near Shanghai Railway Station,” said David Buffonge, cofounder and executive director of Lead 8. Envisioned as a new cultural, shopping, living, and commerce hub, the TODTOWN mixed-use development will be located above major subway and train transit points. A 130,000-square-meter retail mall forms the heart of the project and is complemented by a series of shared green spaces, including a central park terrace. TODTOWN also includes 146,000 square meters of office space; 54,000 square meters of retail; 67,000 square meters of loft apartment space; a 5,000-square-meter cultural center; and a 15,000-square-meter retail podium.